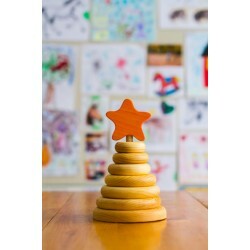 This classic wooden toy made in Canada have to be stacked from the biggest ring to the smallest. This toys may help to learn colors too! They'll learn shapes, counting and colors all-in-one! 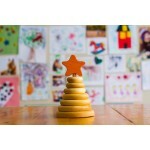 The 15 wooden pieces in this novel shape so..
A classic toy made of wood Rainbow Stacker - Melissa & Doug. 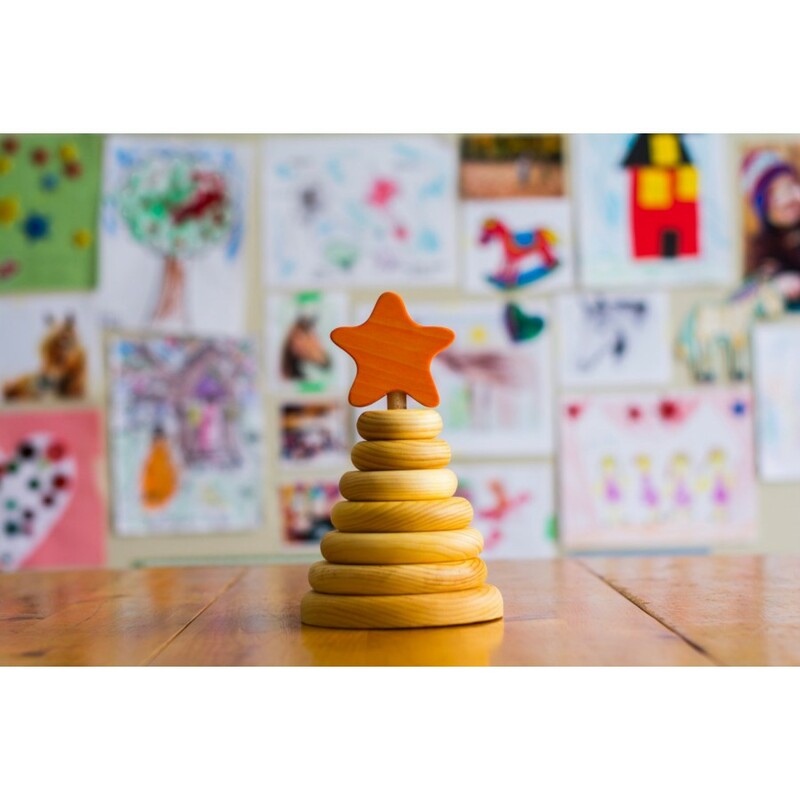 This classic wooden toy will help b.. Handmade with love in Quebec Orange & coco creations are made from non-toxic products and are saf..
25 colorful wooden pieces Match and sort these 25 colorful wooden pieces, and skill-building is j..
Each petals moves! 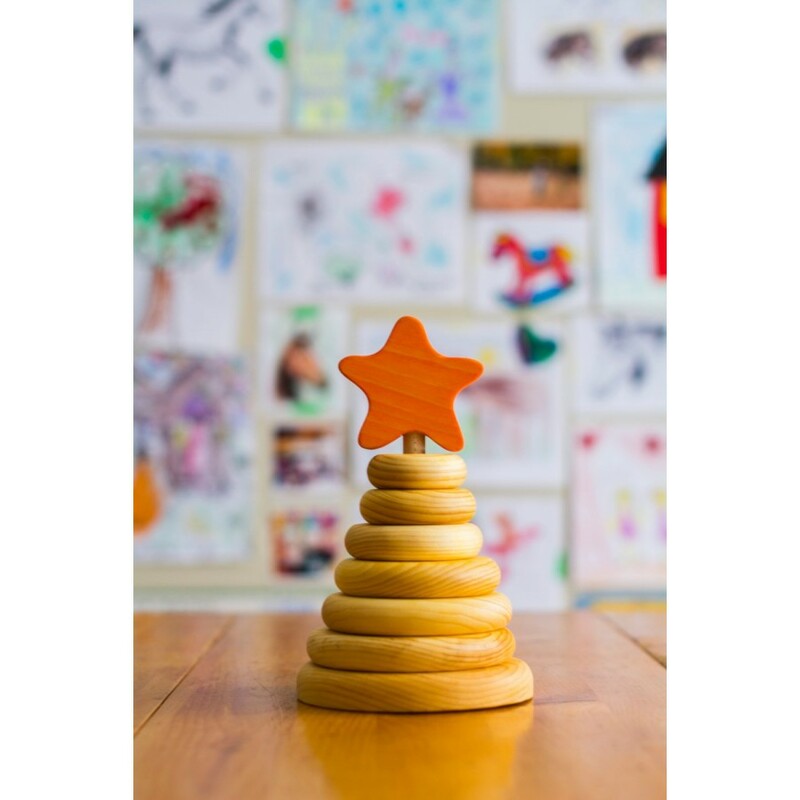 Shake up baby’s playtime with a colorful wooden rattle, created especially for..
Find the little chick hidden Learning toy with 6 large pieces to stack into a wonderful ostrich. ..